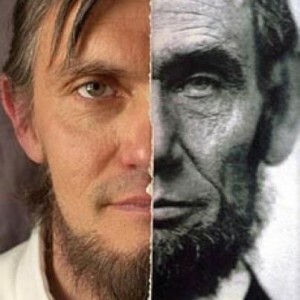 Ralph C. Lincoln, 11th generation Lincoln on this continent, 3rd cousin to President Lincoln, discusses the Lincoln legacy, what it means to him, and his resemblance to President Lincoln. Joaquin Pacheco from A Place Called Home interviews Omar, one of the young people working in the APCH studio. Thanks to Chris Vallillo for contributing music from his CD Abraham Lincoln in Song and to Matthew Sabatella for contributing music from his CD Songs in the Life of Abraham Lincoln.Thanks to the folks at A Place Called Home for contributing music from their CDs “Get Involved!” and “Stories From Home”.